Design Hovie Studios has designed the new logo, brand and collateral materials for St. Alphonsus Parish School's 2012 Auction. Included are invitation, envelope, thank you card, and response card. 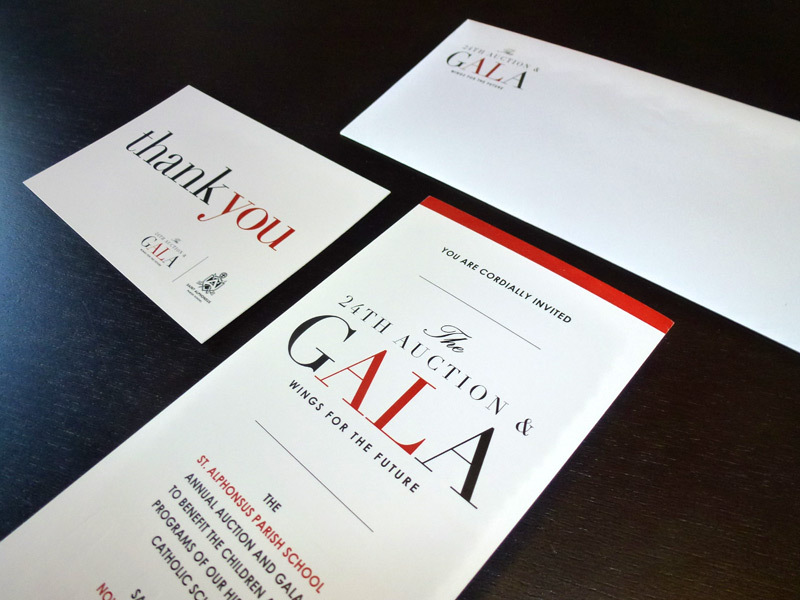 The GALA benefits the children and programs at the historic, 105 year old, Seattle school.